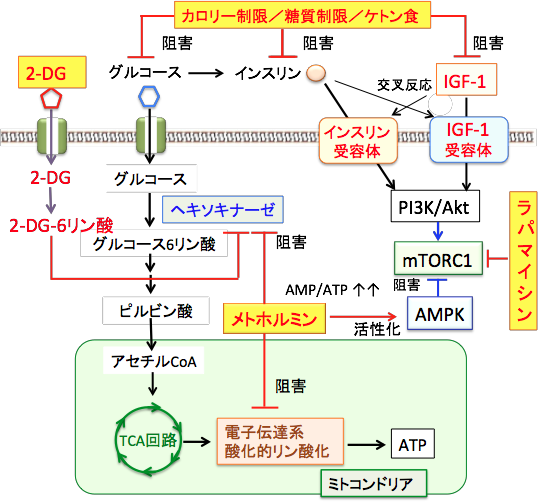 Metformin: A Potential Therapeutic Agent for Recurrent Colon Cancer（メトホルミン：再発性大腸がんに対する潜在的な治療薬）PLoS One. 2014; 9(1): e84369. 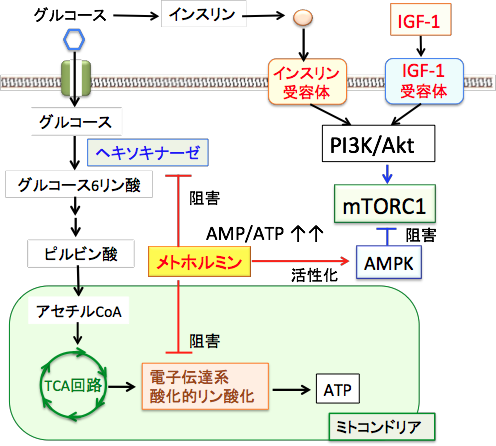 Metformin enhances tamoxifen-mediated tumor growth inhibition in ER-positive breast carcinoma（エストロゲン受容体陽性の乳がん細部に対するタモキシフェンの増殖抑制作用をメトホルミンは増強する）BMC Cancer. 2014; 14: 172. 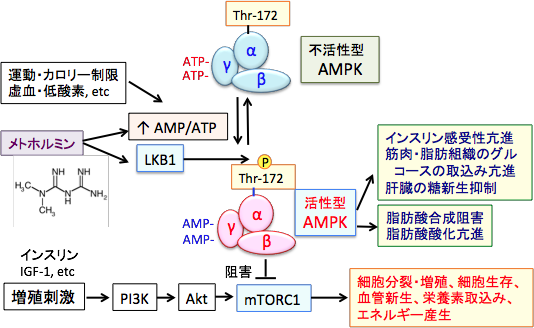 Antidiabetic Drug Metformin Prevents Progression of Pancreatic Cancer by Targeting in Part Cancer Stem Cells and mTOR Signaling. 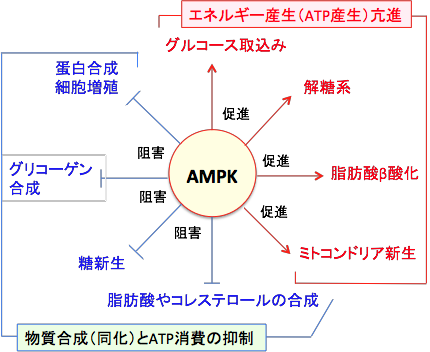 （抗糖尿病薬のメトホルミンはがん幹細胞とmTORシグナルを介して膵臓がん細胞の進展を阻害する）Transl Oncol. Dec 2013; 6(6): 649–659. 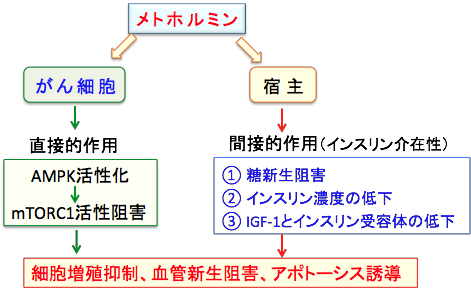 Metformin intake associates with better survival in ovarian cancer: A case control study（メトホルミン摂取は卵巣がんの生存率を高める：ケースコンロトール研究）Cancer. Feb 1, 2013; 119(3): 555–562.